Romare Bearden developed an understanding of the richness of African-American culture while living and working in Harlem and spending time with family in North Carolina. 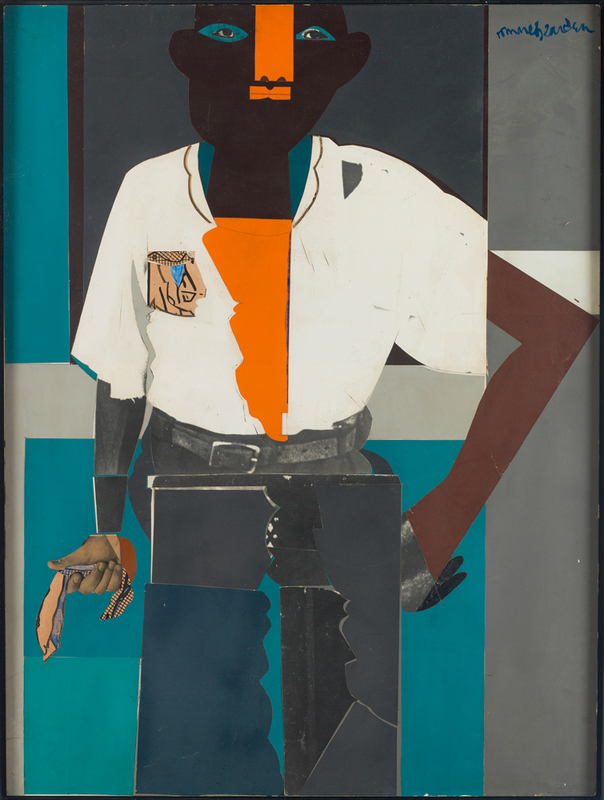 In the 1960s, he adopted collage as a medium with the potential to abstract and fragment the human figure in an improvisational manner similar to that of jazz music. Works such as The Farmer incorporate layered materials to provide an intimate portrait of a figure.